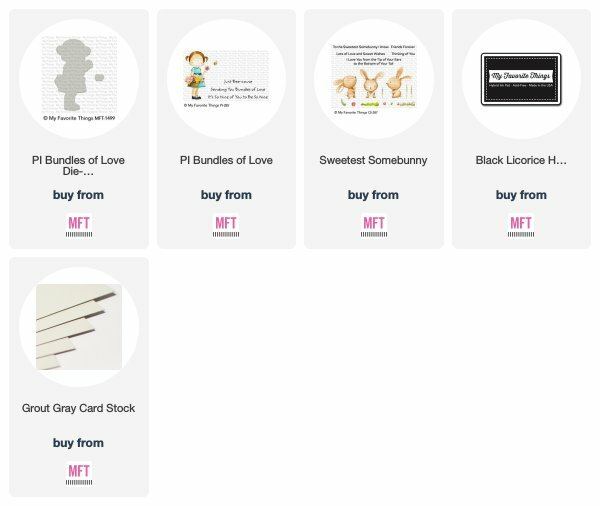 MFT April Release Countdown Day 3! Today we have reached day 3 and that means that I get to share the latest Pure Innocence girl called Bundles of Love.. I stamped her out and coloured her with Copics, die cutting and setting aside.. I then took the Stitched Ric Rac and ran the die through my die cutting machine 5 times.. I added these strips to the base of a white card base and then added my little girl.. I took a sentiment stamp from the Sweetest Somebunny and added this alongside my little girl.. Completing the card by adding a scattering of Clear Sequins and adding to a Grout Gray card base..
Be sure to head over to the blog to see more amazing projects..